Experience an enchanting evening of Irish folklore, storytelling and music while enjoying a candlelit traditional Irish dinner in Dublin's oldest Pub, The Brazen Head. If you are considering this to do in Dublin, then let us take you back in time to the fascinating world of Ireland long ago when the culture was one of the mind, spirit and the imagination and where the unseen world was never far away. 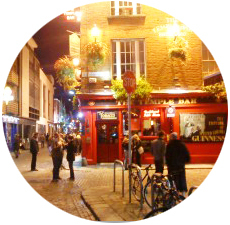 The evening is a wonderful introduction to Irish folklore for any tour group visiting Dublin. It will enrich their experience of Ireland by bringing to life the history of the people and connect them to that older Ireland that so many want to experience but find more and more difficult to do so in today's modern age. -Listen to the magical stories they told as they gathered around the fire at night. 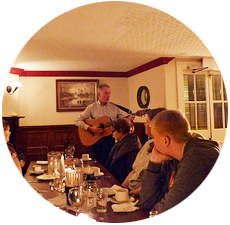 -Enjoy live traditional Irish music and ballads with dinner. 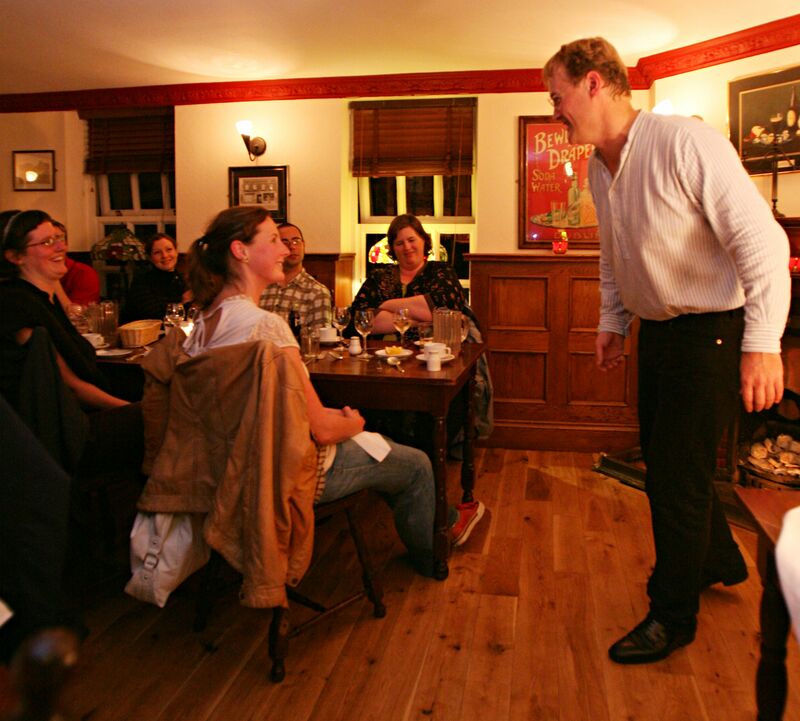 -As you relax between courses of a wholesome traditional Irish dinner, our renowned storytellers takes you into a world of the imagination with wonderful insights and mystical tales about Irish life in times past.